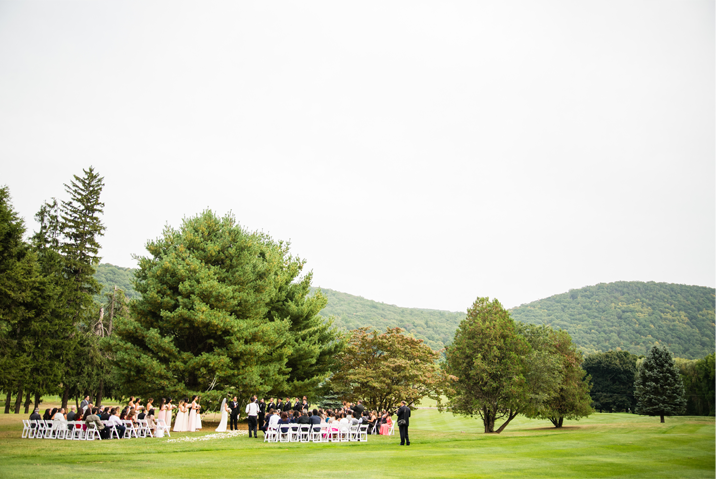 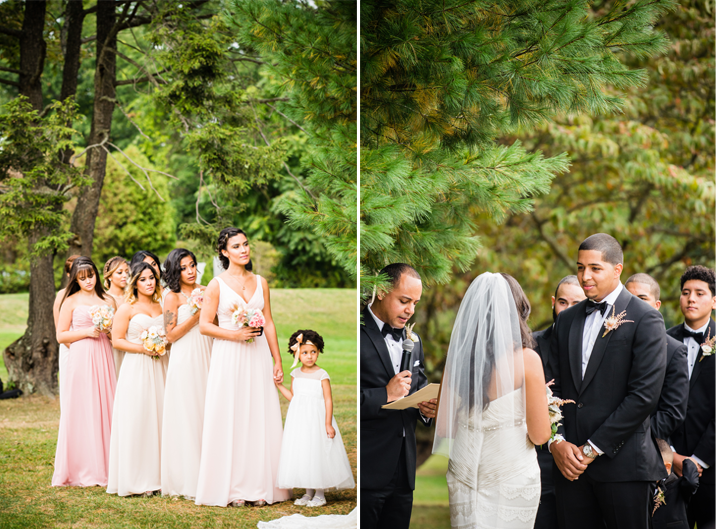 With lush pines, vast grounds, and spectacular mountain views the Highland Country Club set the scene beautifully for Lauren & Anthony's wedding. 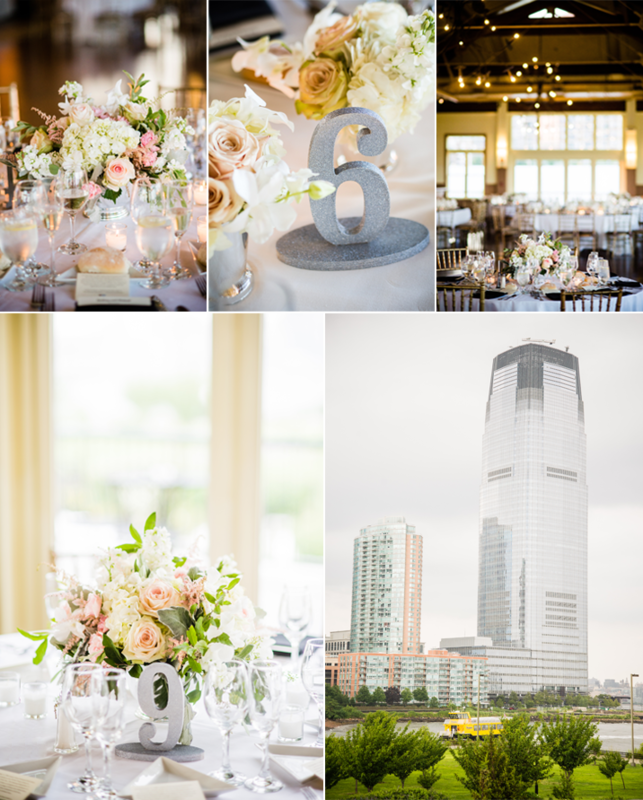 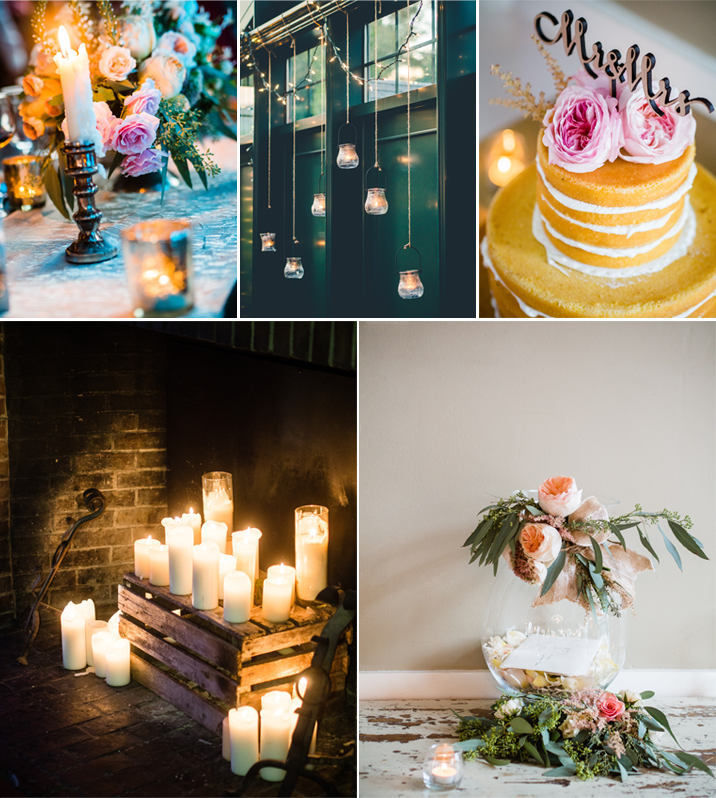 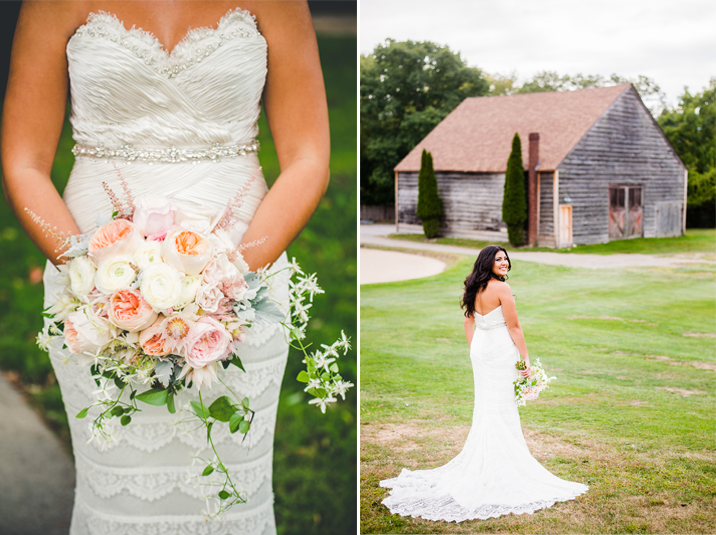 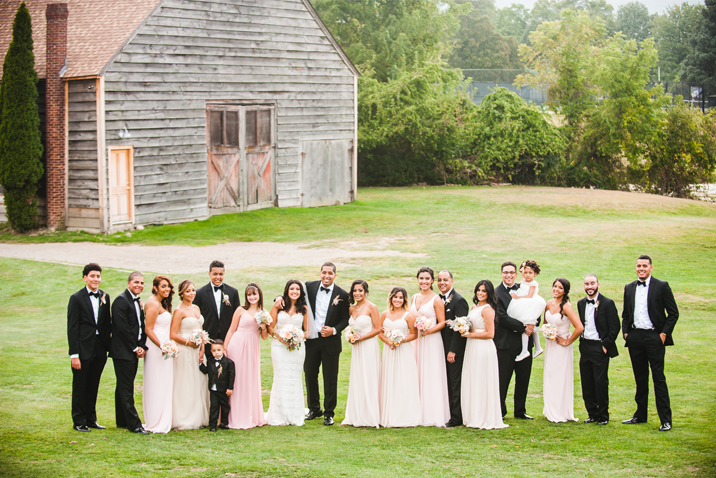 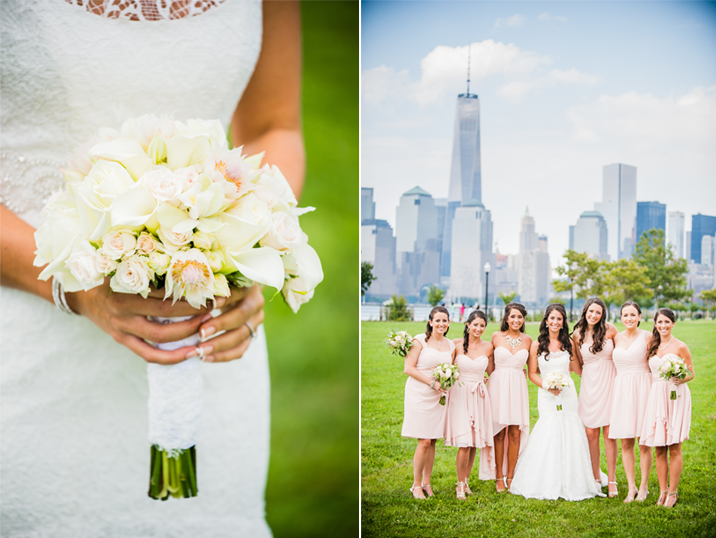 The pale blush and peach color palette looked stunning on Lauren and her girls. 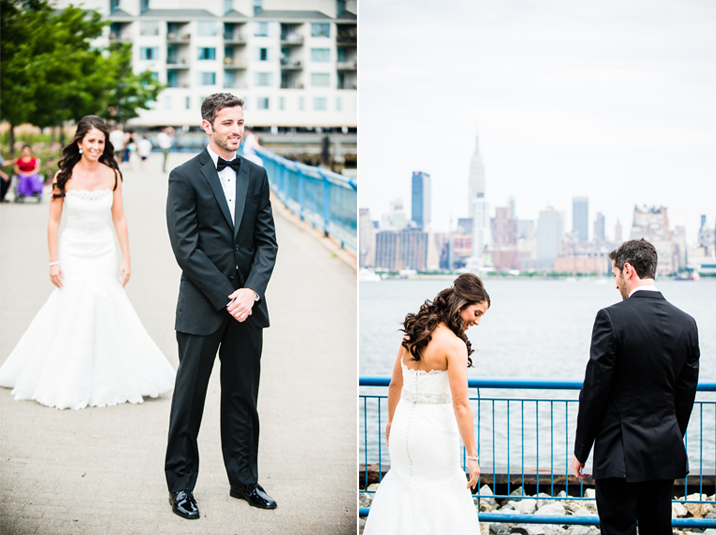 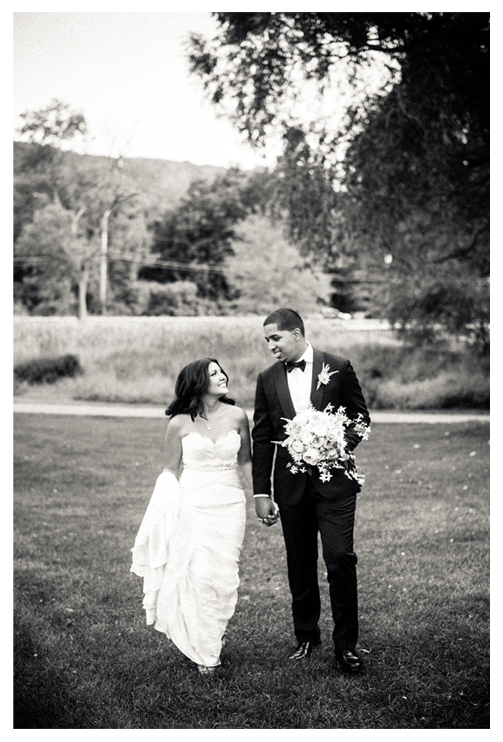 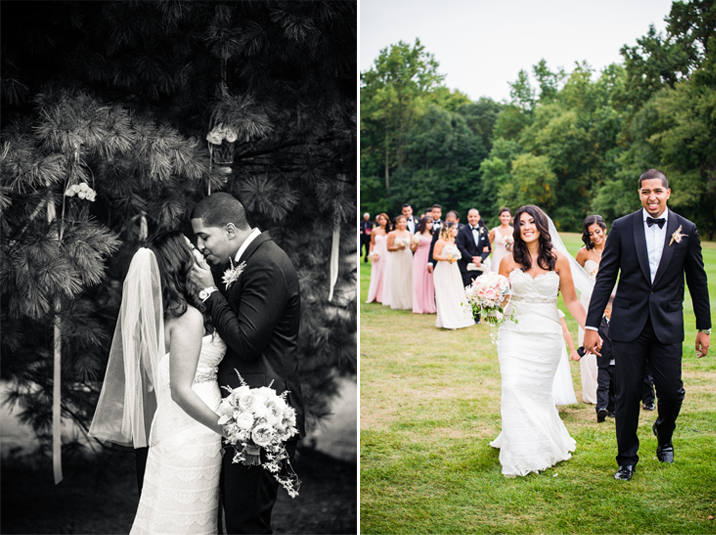 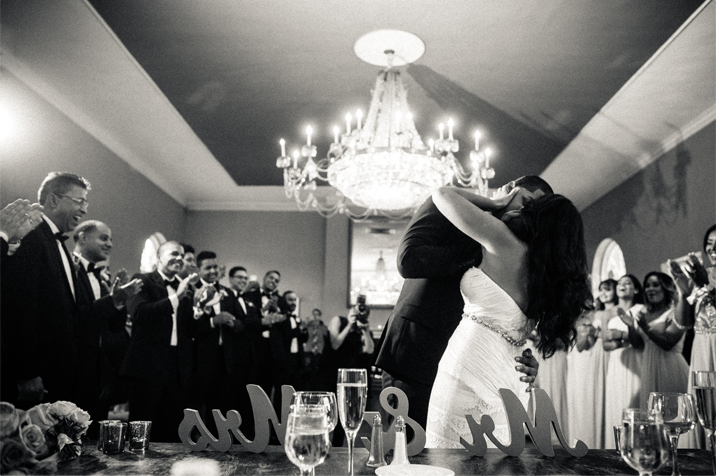 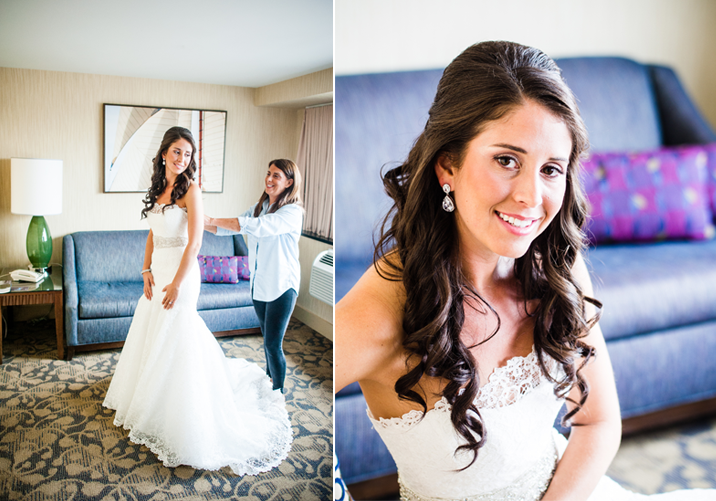 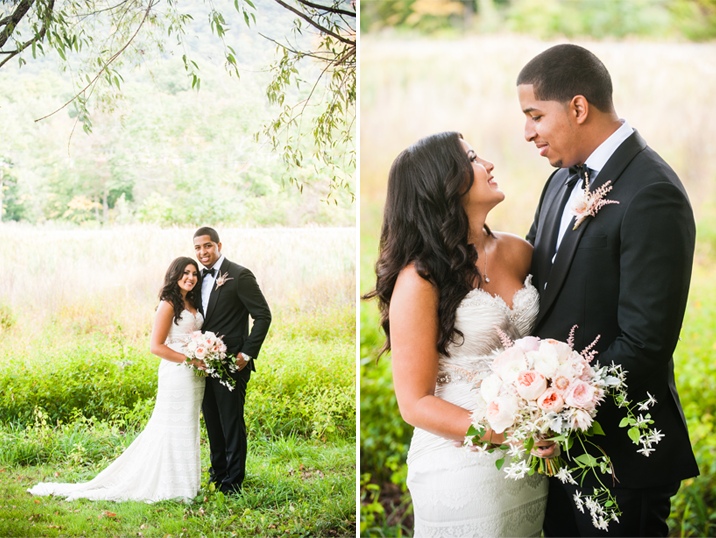 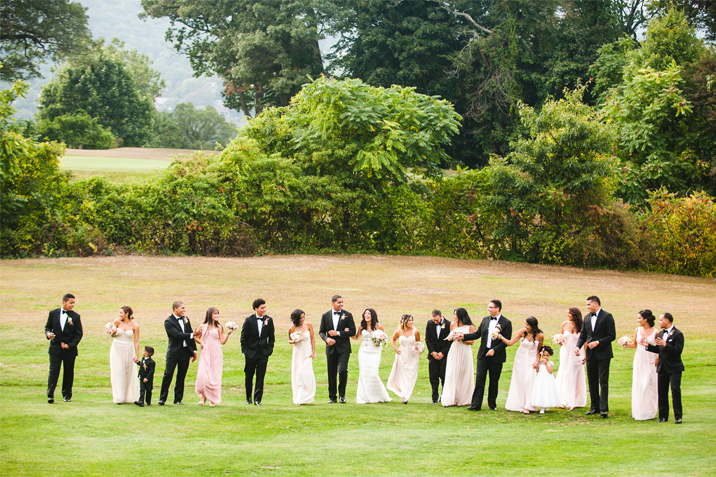 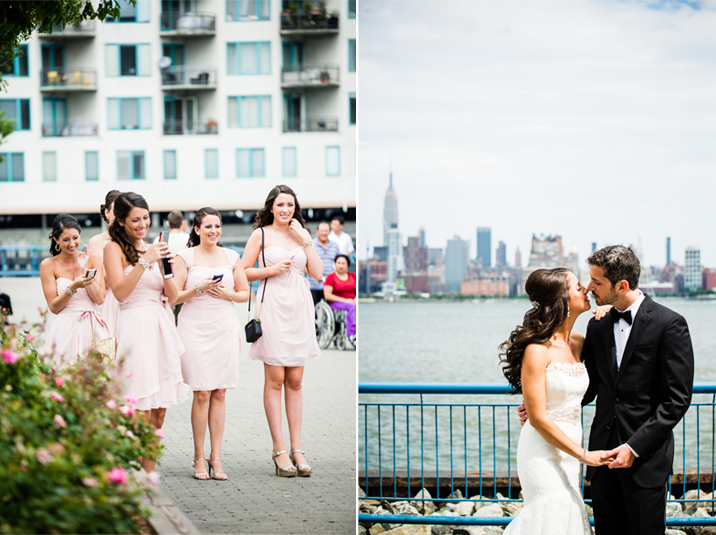 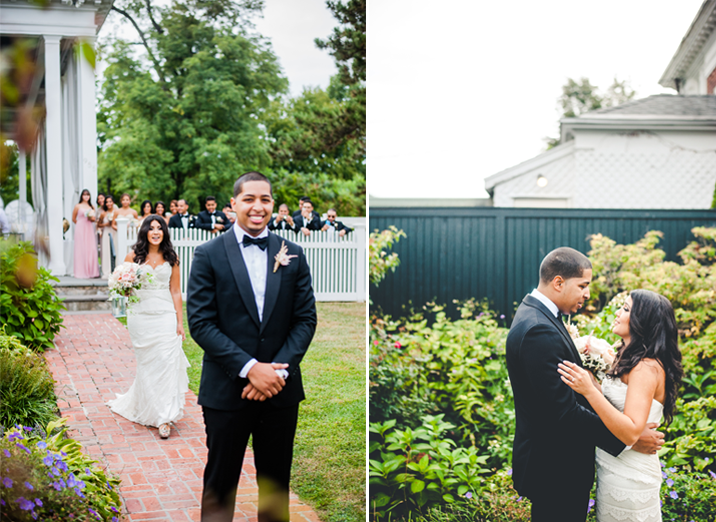 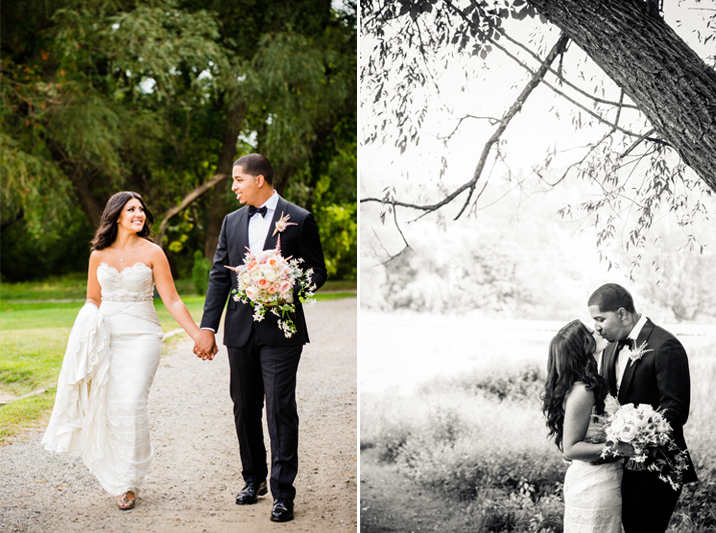 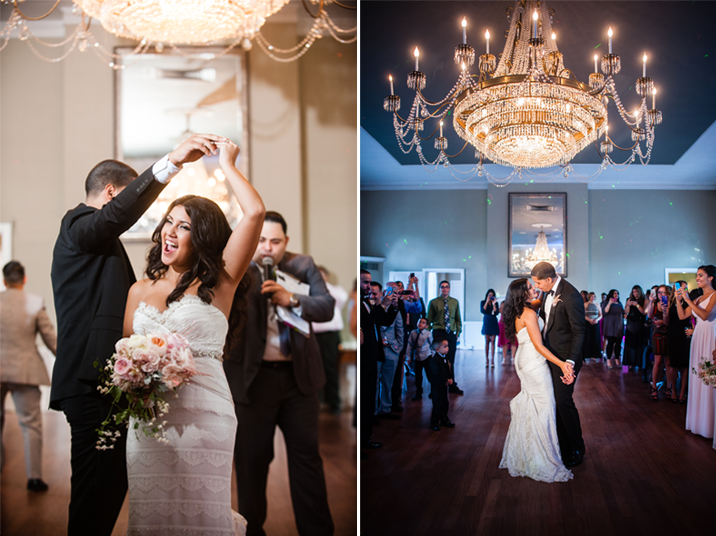 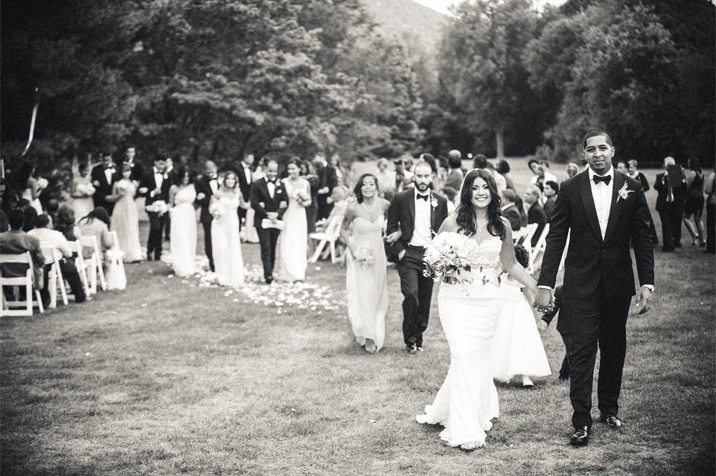 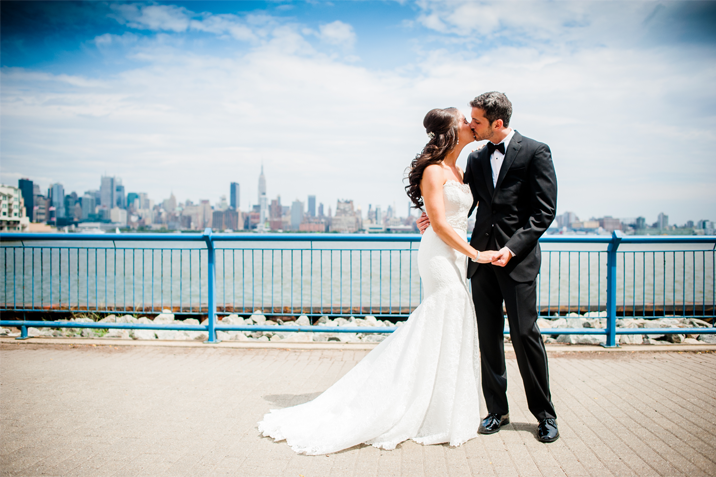 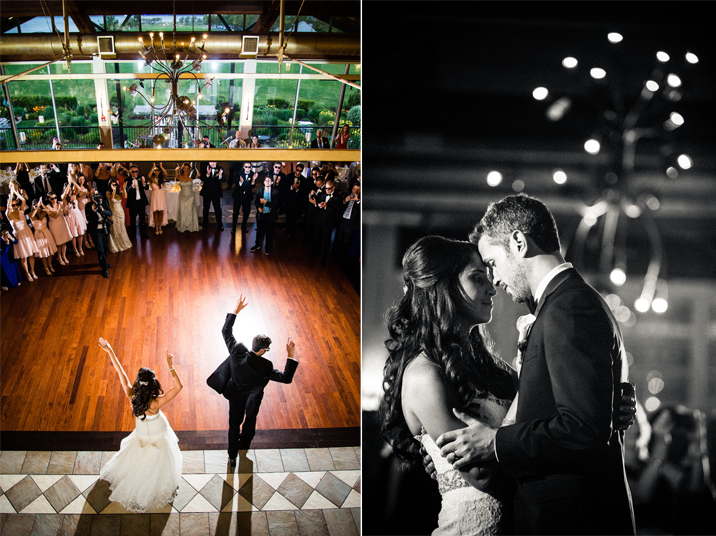 Before we knew it, it was time for Lauren & Anthony's first look! 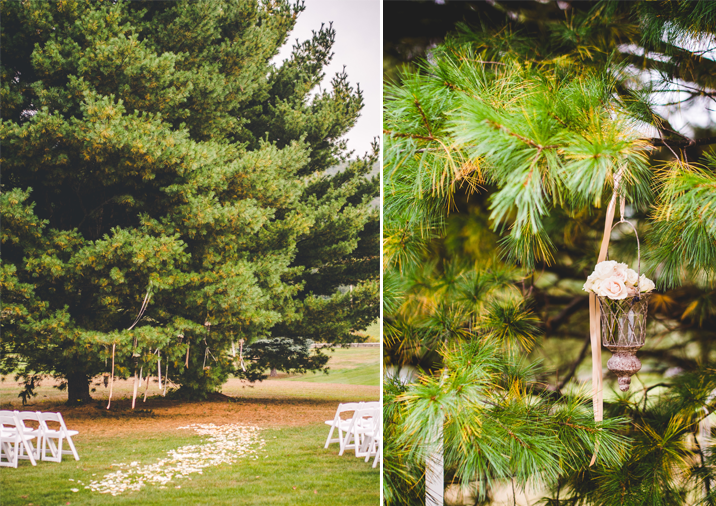 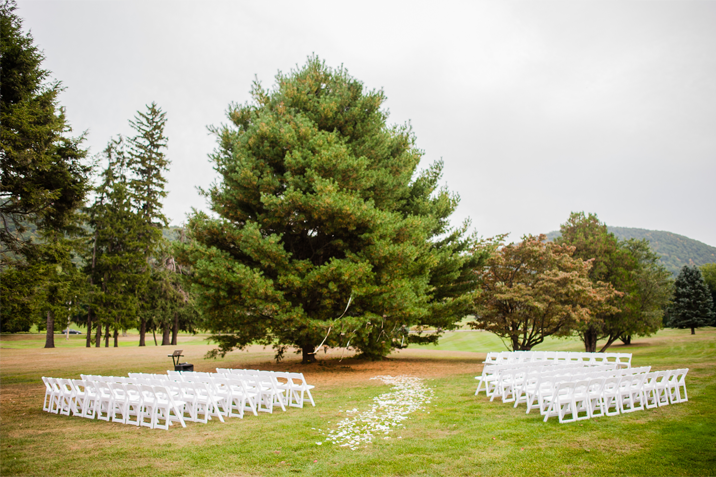 The ceremony was set in one of the meadows centered around a tall pine tree decorated with ribbons and hanging flower lanterns. 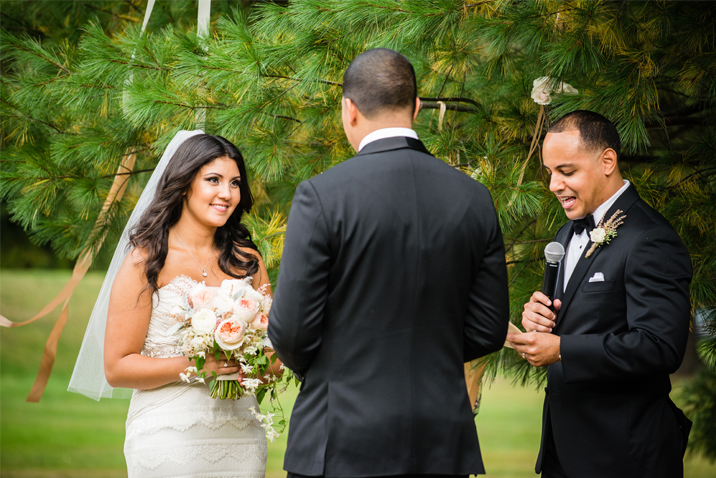 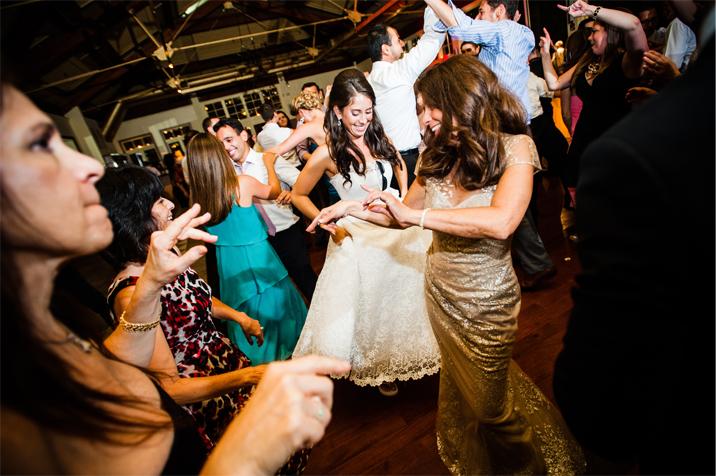 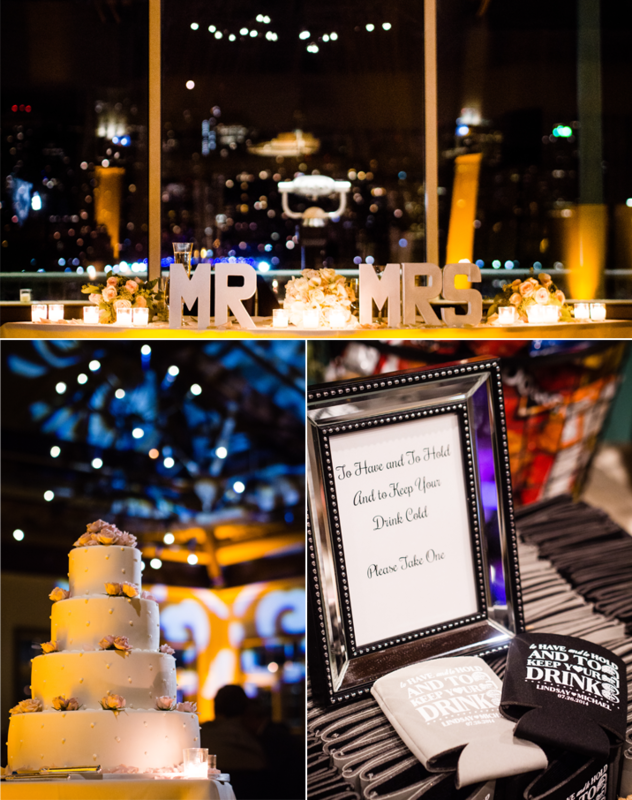 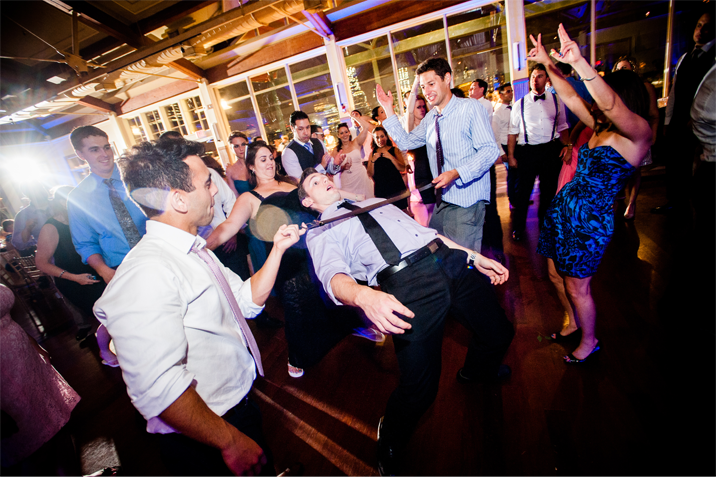 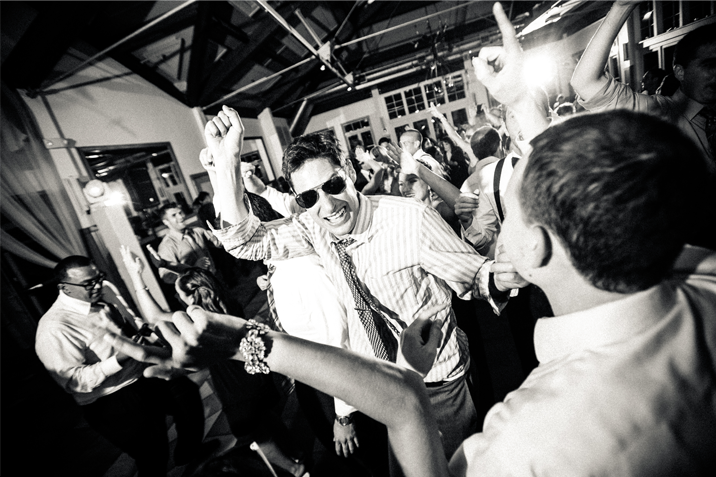 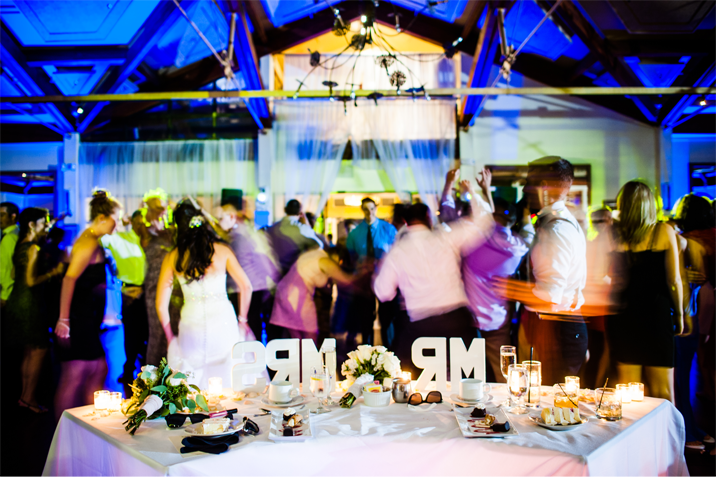 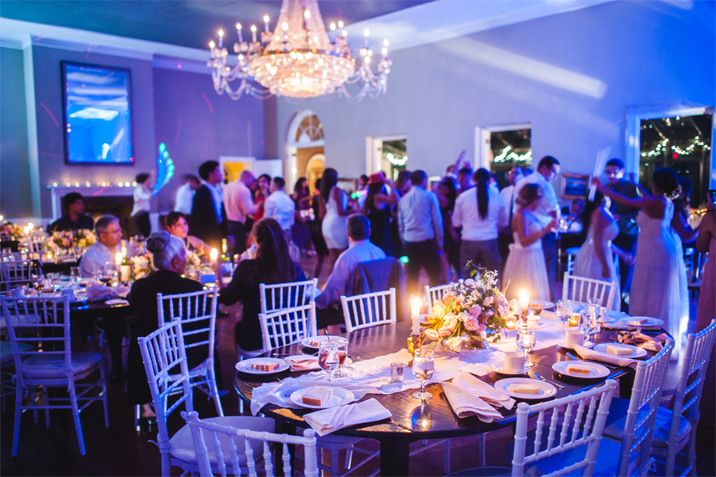 The happy couple exchanged their vows surrounded by their friends and family. 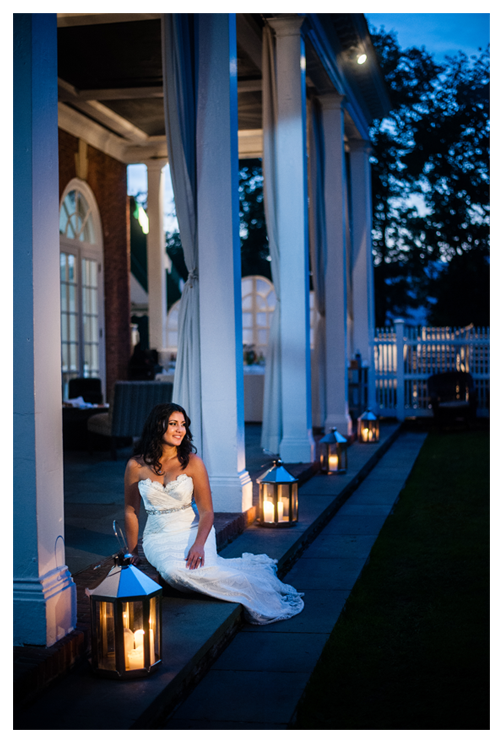 It was wonderful to see all of the newlyweds' guests strolling in and out of the reception venue and enjoying the evening's celebration and the outdoor veranda. 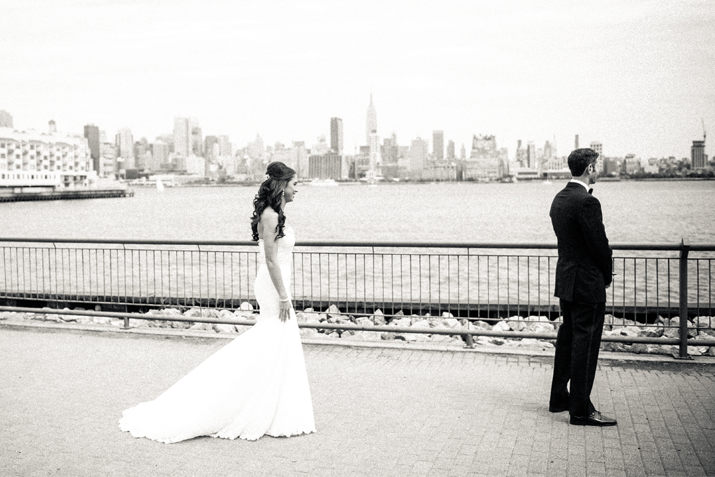 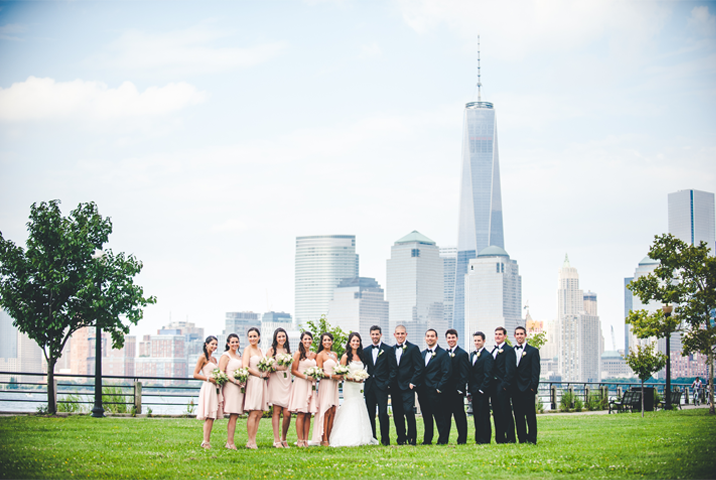 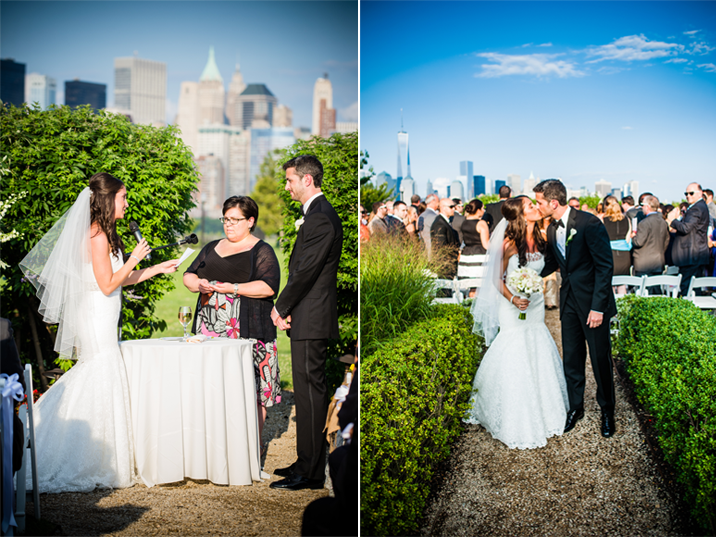 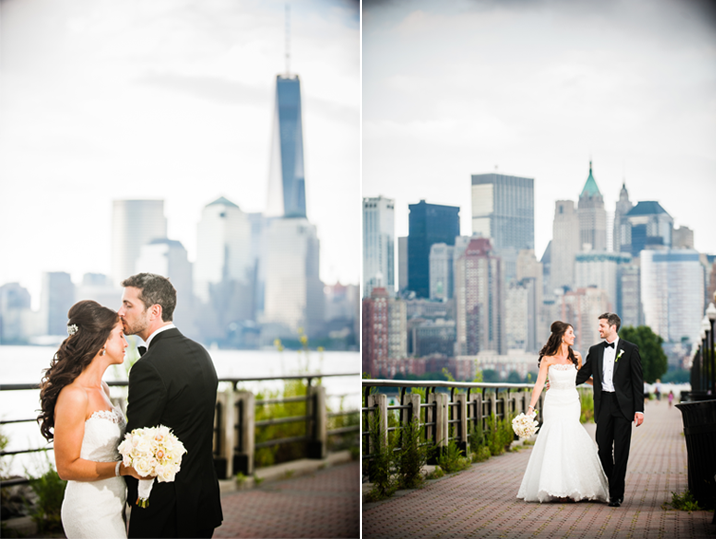 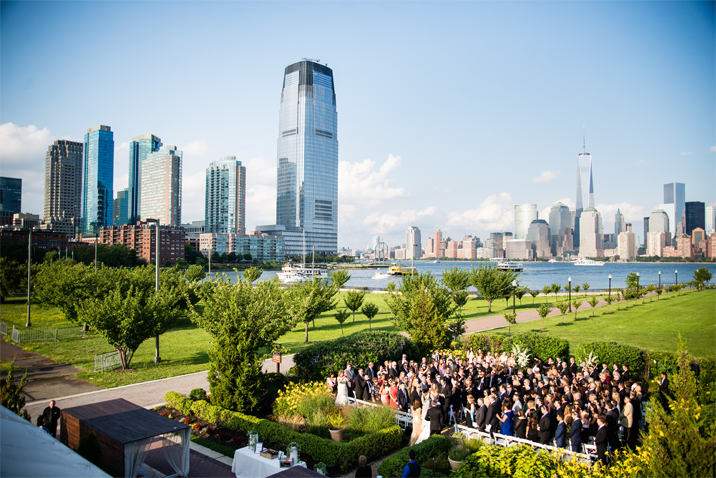 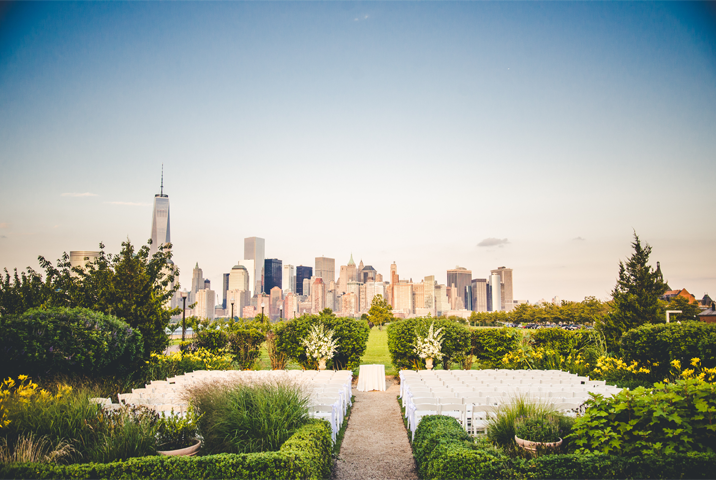 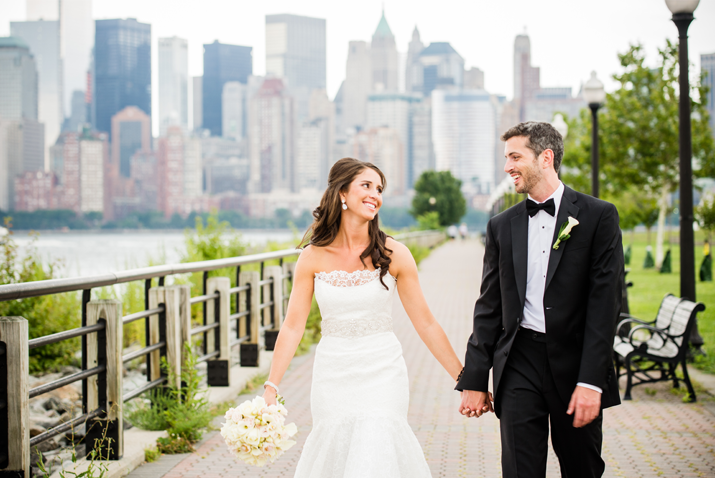 Sometimes the best way to enjoy the city views on your wedding day is to venture outside the city. 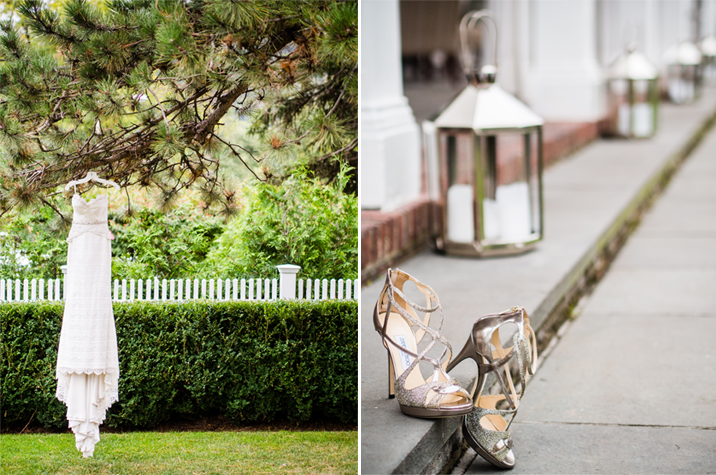 The Liberty House not only offers these stunning views but has beautiful lawns which we took full advantage of with Lindsay & Mike and their bridal party! 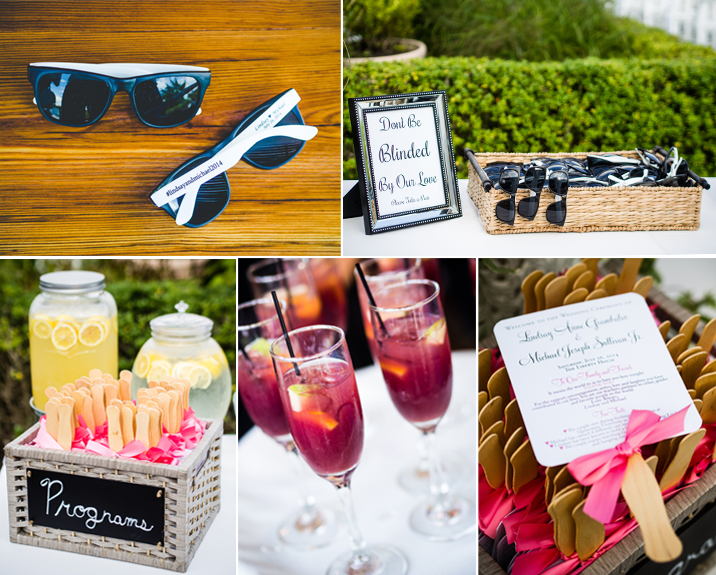 Lindsay & Mike thought of everything from personally branded sunglasses for their guests for the ceremony to drink koozies. 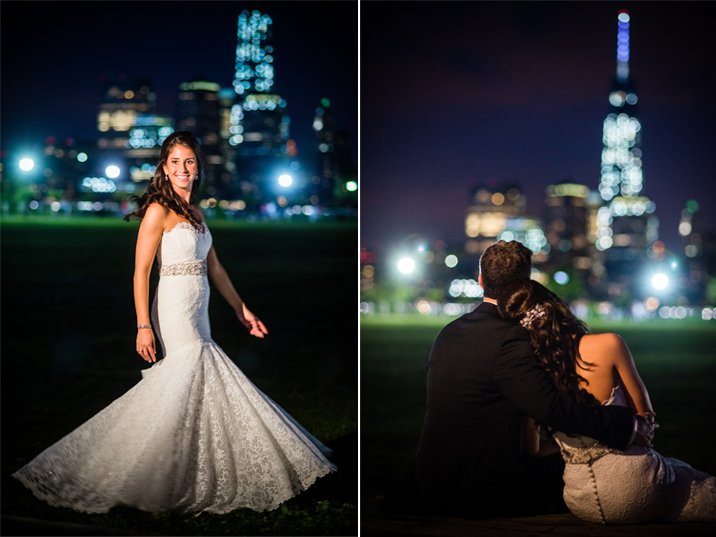 At the end of the evening we brought Lindsay & Mike outside to enjoy the beautiful night view and take in a moment as newlyweds.